This has been an unbelievable experience that is only half way over, so it will take me a while to digest and process all that I´ve heard, seen and tasted. I´ve met legendary winemakers, seen some cutting edge science at work in the vineyards, and am on my way to the historic Osborne sherry operation in Jerez. I´ve been stunned at the range of Tempranillo, and charmed by what a really fresh Fino Quinta sherry tastes like served very cold, in a frosted glass, after a long day of walking and talking. And the food has been excellent, too, so I´ve got some new tips on what to drink with your Spanish and Portuguese wines. The weather in Spain is a bit uncharacteristic right now, as it´s cold and wet. There was hail in Rioja just a few days ago, but in Castilla the red poppies were in full bloom. I´ve been reminded all week about Nature´s fickleness, and how difficult it is to work so hard to produce any product that depends on good weather. I´m not sure if I will be able to post again before I head back to the states, but wanted to send out a mini update to let you know what I´ve been up to and what you will be hearing about soon here on the blog. Take time to remember friends and loved ones today. 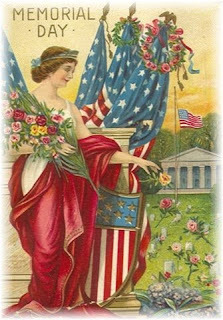 Have a safe, happy, and healthy Memorial Day. Just a note to tell you that I'm off on the road, tasting wine in some exotic locales--or at least they're exotic for me! I will try to post from where I am but just in case I don't manage it, I will be back to business as usual here on the blog--with some new insights into wine--on June 2. Thanks for your patience, and see you soon. I'm starting to get bitten by the grower champagne bug. As a devoted drinker of NV Veuve Clicquot in the yellow label--which I enjoy partly because I'm never disappointed--I always get exactly what I expect when I pop the cork. While this kind of familiarity, like your favorite chair, is very comforting, it is not precisely exciting. Drinking grower champagne is different. I'm finding that they are a pleasant surprise, and offer something unlike what I've grown to expect and love from familiar standbys like Veuve Clicquot. My most recent foray into grower champagne came from Comte Audoin de Dampierre, which is based in Chenay. They've been making Champagne there for almost seven centuries, and produce over 200,000 bottles a year. For their top bottling, the Cuvee Prestige, this house still uses a hand made string ficelage, which was the traditional way to make sure the cork didn't pop out of the bottle because of all the pressure. The ficelage is the point of origin for the wire basket that most sparkling wine has wrapped around the cork today. The NV Comte Audoin de Dampierre Grande Cuvee Brut was a terrific champagne for the money, and definitely represented excellent QPR in a grower champagne. ($25.95, Chronicle Wine Cellar; expect to pay between $19 and $36 online or at a retailer near you). Made from a blend of 30% Chardonnay, 40% Pinot Noir, and 10% Pinot Meunier, this was a sparkling wine that somehow managed to be both creamy and light. 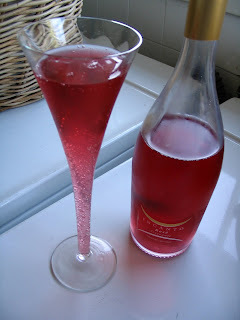 The wine was bright pale straw in color, and had lots of bubbles accompanied by a frothy mousse. I smelled faint aromas of bread dough and toasted brioche, which were warm and mouth-watering. When I sipped the wine I enjoyed the flavors of cream, lemon, and apples, especially with the toasted almond edge that these flavors took on after the wine slid down your throat. This would be a perfect bottle to open when you want something special but don't want to break the bank. It's widely available, too, so keep your eyes peeled for it in your favorite wine store. When I wrote about how I was heading to Italy's Le Marche region this May, one of my readers (Anton) said I had to try Collestefano's Verdicchio di Matelica. So I did. And it was a good tip. Le Marche has two main regions that produce wines made with the Verdicchio grape: Castelli di Jesi (which is much better known) and Matelica. Though Castelli di Jesi Verdicchios are more widely available in the US, the grapes grown in Matelica are often described as more intense, and produce a more full-bodied wine with a greener tinge in the juice. The 2006 Collestefano Verdicchio di Matelica was a very good QPR Italian white. ($13.99, K & L Wines; available online for between $12 and $15) It was greeny-gold in color, which is typical of the variety. Fresh summery aromas of sea salt and straw were unusual and enticing. The tart flavors of grapefruit pith and more salt combined with honeydew melon developed the summery feeling of the wine, and and were very piercing and intense. The wine had a core of acidity that gave it good structure and accentuated its mouth-watering finish. I would definitely rebuy this wine, and keep it on hand for drinking, well-chilled, throughout the summer. The intense briny and citrus flavors of this wine cried out for shellfish, and anything you can imagine doing with shrimp would be a very good pairing. If you are looking for something different and very Italian to go with your Verdicchio di Matelica, how about combining shrimp with white beans, rosemary, and garlic? This dish originates in Tuscany, but the wine's intensity would stand up well to the rosemary and garlic, and the briny notes in the wine would accentuate those qualities in the shrimp. Readers have come up with some great suggestions regarding wine for me to try during my Italian wine tour this year, and I really appreciate them. Thanks, Anton, for telling me to try this winning wine. Lemberger is often the victim of mistaken identity. Tell people you are having some Lemberger and they are likely to ask you why you like smelly cheese. Sometimes, it's not called Lemberger at all, but Blaufrankisch. As if the name thing isn't hard enough, it's hard to find, too. When you look on most wine store shelves you don't see a lot of Lemberger for sale. This is strange, because it basically tastes like a Merlot that took an unexpected turn and ended up somewhere in the neighborhood of the Beaujolais. 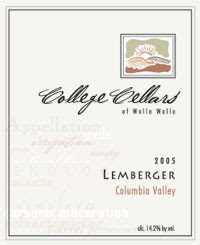 The 2005 College Cellars of Walla Walla Lemberger was a very good QPR wine. ($12.00, Wild Walla Walla Wine Woman) It was like a Merlot in its color--dark ruby-purple. There were nice aromas of cherries, spice, and perhaps even some roses. Initially there was a bit of funkiness and a very sharp acidity, but the wine opened up and mellowed out quickly into high-toned cherry and cranberry flavors. The wine was at its best with food. It's full-flavored but not heavy--and it's a great red wine for the summer' s grilled or BBQed food. College Cellars of Walla Walla is the not-for-profit teaching winery attached to the Center for Enology and Viticutlure at Walla Walla Community College. Proceeds from the sale of their wine go to scholarships for WWCC students. I highly recommend contributing to this good cause and getting some good wine to boot. And try a Lemberger if you get a chance. I mean the wine, of course, not the cheese. Robert Mondavi, pioneering Napa Valley vintner, died this morning at the age of 94. If you've got a bottle of Mondavi wine in your cellar, I think tonight would be a good time to drink it. 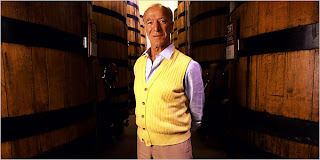 I'll be popping open the 2003 Robert Mondavi Cabernet Sauvignon, and raising a glass to this wine legend and all he contributed to American wine culture. Just a reminder that next Thursday (May 22) Wine & Spirits magazine is coming to town with their Hot Picks event, to be held from 7-10 pm in the chic MODAA gallery in Culver City. You can click on the logo to the left for more information and to purchase a ticket online. For $75 you get a year's subscription to the magazine as well as the chance to taste some great wines selected for their excellent taste and great value--which is bound to appeal to a GWU$20 reader. These wine picks are highlighted in the June issue of Wine & Spirits, which features the 100 top values in wine and goes on sale the same day. You will also get a chance to talk with some of LA's up-and-coming wine professionals, and mingle with local retailers (like Jill from domaine547, one of the event's partners). I'll be there, too, so if you recognize me come up and introduce yourself. $5 of every ticket purchased goes to benefit Surfrider's efforts at water conservation and preservation. Great wine, a worthy cause, and the inside track on some wallet-friendly options for your next shopping trip--all for $75. See you at the MODAA Gallery next Thursday night. To cork, or not to cork? That is the question that host Lenn Thompson of Lenndevours hopes that the 3rd edition of the Wine Book Club will answer. 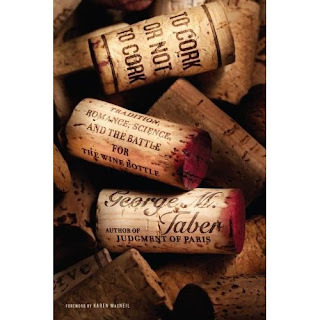 Lenn picked George Taber's relatively new book, To Cork or Not to Cork: Tradition, Romance, Science, and the Battle for the Wine Bottle for the June meeting. (available from amazon.com for $17.16 plus shipping) Taber is well-known among wine fanatics for his book on the famous 1976 France vs. Napa tasting known as the Judgment of Paris. Taber is a talented story-teller, so I am looking forward to seeing what he does with the far less dramatic issue of wine closures. 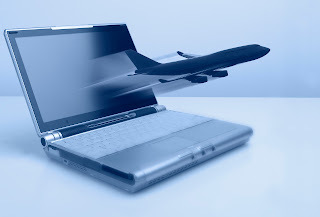 Lenn gives the full details about the online meeting on his blog, but in brief you have until June 24 to read the book, and then post your reaction to it on Facebook (where we have 103 members who have joined the club), Shelfari, the Wine Book Club site, or even on your very own blog. I'm sure that Lenn wouldn't mind if you put some remarks in the comments section of his post, either. Just when you're starting to forget that there is a meeting of the Wine Book Club, you can depend on Richard the Passionate Foodie to remind you about it. He's our "Spin the Bottle" reviewer for the end of May/beginning of June. Keep your eyes peeled for his review of a wine book that touches on a subject near and dear to his heart. Hopefully his efforts will inspire you to discover where you left your copy of To Cork or Not to Cork (is it in the car? behind the sofa? by the pool?). Thanks to Lenn and Richard, and I hope that if you have a blog of your own you will help to publicize the event. My second organic wine pick for this week involves Pinot Noir--which still seems to be everyone's favorite red variety. There's a lot to like about it, so it's not surprising. They're flavorful, rich without being heavy, and pair well with a wide variety of foods. So when the folks at Cooper Mountain asked if I'd like to try their latest vintage of Pinot Noir I said yes. Cooper Mountain Vineyards are in the Willamette Valley, perched on the slopes of an extinct volcano in Oregon. Robert and Corrine Gross started the vineyards in 1978 and began bottling their own wine in 1987. Robert Gross always explored alternative methods of treating his medical patients--he's a psychiatrist, a homeopath, and an acupuncturist--and his fondness for the road less traveled in his career can also be seen in his wine work. Within a few years, Gross became interested in sustainable, alternative farming and began to convert the vineyards to organic methods. They were certified organic in 1995 (the second vineyard in Oregon to achieve this status), and four years later received their biodynamic Demeter certification. The wine I sampled, the 2006 Cooper Mountain Vineyards Cooper Hill Pinot Noir, was a light bodied, cheerful wine with excellent QPR. ($15-$17 through online merchants) Made with organic, biodynamic grapes, the wine tasted very pure to me, with lots of cherry and raspberry aromas and flavors that were intense and lively. The wine had Pinot's distinctive silky character, and after you swallowed down all those fruity flavors there was a nice fresh taste in your mouth that reminded me of the smell of a wet garden. Like most Oregon Pinot Noirs that I've tasted, this wine is not opulent and rich but cool and restrained--like Grace Kelley. It's a young wine, with refreshing acidity at its core and I found that the cherry had turned to black cherry and the raspberry to blackberry after I recorked it and left it on the counter for 24 hours. This suggested to me that this is a wine that will continue to develop with age. But it's delightful right now, so you shouldn't wait to try this one. And the price is amazing for a wine that is organic, small production, and so darn tasty. We had the Cooper Mountain Pinot Noir with some BBQ shrimp and cheese grits made with shrimp tossed in some homemade red sauce with bourbon and spices and some creamy grits laced with extra sharp cheddar cheese. The acidity really cut through the red BBQ sauce, and the purity of the fruit flavors didn't clash with the spices. This summer, if you've got plans to BBQ, get yourself some of this wine. Cooper Mountain makes a wide range of organic, biodynamic wines including Pinot Gris, Malbec, and several different Pinot Noirs. If you want confirmation from another blogger that Cooper Mountain is a winery to watch, check out Jeff Lefevere's review over at Good Grape. This is a winery that may not be on your radar screen, but it should be. Their wines are further proof of the numerous affordable, delicious choices that are out there if you would like to make organic and biodynamic wine choices. This week I'm focusing on a pair of organic wines to highlight the increasingly wide range of options consumers have if they want to drink wine that has been made with organic grapes. There was a time when wines made with organic grapes were difficult to find, but that is certainly not true any more. In fact, you are probably drinking wine made with organic grapes and not even realizing it. One of the things that has struck me is that some wines don't identify themselves as using organic grapes on their labels. One of the reasons for this may be that current regulations require that a wine labeled "Organic" must not only be made with organic grapes, there must be no added sulfites. Sulfites are added to wines to help stabilize them for shipping and storage, so it's pretty hard to find a wine that is "Organic." It's far more common to find a wine that is made "with organic grapes." If you look at the tiny type at the bottom of the Jeriko label, you will see that it indicates that organic grapes were used. Wines labeled in this fashion have been made with certified organic fruit, but do have sulfites added for stability. If you want to find out more about organic wine, visit the Organic Wine Company and read up on their notes regarding how wines are classified. 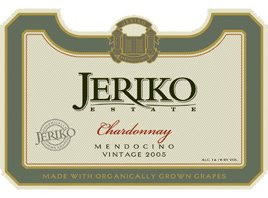 My latest recommendation for a white wine made with certified organic grapes is the 2005 Jeriko Estate Chardonnay. ($19.99, WineQ) Jeriko Estate now uses only certified, organically grown grapes in their wines, all of which are grown in vineyards in Mendocino County. This was a creamy chardonnay that gets its body from partial malolactic fermentation in oak, and its crispness from a majority of fermentation time spent in stainless steel tanks. It was a pleasant bright straw in color, and had aromas of summer orchard fruits like pear and apple, and some late summer hay. The flavors you will find in this wine are of apples and cream, with a faintly buttery aftertaste. All in all, I found this a nicely made example of a creamy, California Chardonnay with good QPR. It will appeal to anyone who likes a richer style of chardonnay, but one that is still fresh and crisp. With a wine like this, there is nothing better (in my opinion) than oven-fried chicken and slaw. I like the recipe for buttermilk-dipped, pan-browned, and oven-fried chicken from Cooking Light which tastes every bit as decadent as the real thing but leads to only a fraction of the guilt afterwards. The creamy, tangy buttermilk and caramelized flour coating is a perfect pairing for a creamy Chardonnay like this one. And for the slaw, do yourself a favor and try this one with dried cherries, sweetly spicy pecans, apples, cabbage, and a vinegar-based dressing. I cheated and picked up a package of already sweet and spicy pecans from Trader Joe's, and only used green cabbage, by the way, and it was fine. The apples in the slaw really pick up the apple notes in the Chardonnay. As I get older I'm finding I care more and more about the environment. I stopped drinking bottled water, I'm buying a hybrid car, and I'm eating more organic, locally produced food. It's a good thing to be able to extend this philosophy into my wine drinking, with such tasty results. This wine is hot pink. Don't believe me? I took a picture of it against the white backdrop of my GE dryer just to prove it. You might ask yourself, "what is the point of hot pink fizz?" It's a good question. This is not a delicate rose, or a shell-pink sparkler, or anything subtle, profound, or even particularly memorable. This is a "Whazzat?" wine. "What the hell is that stuff?" is most likely to be the question your guests and loved ones ask when you pour it. You can tell them that it is a gently fizzy frizzante wine from around Venice made from a grape that few have heard of called Raboso. I know, I know. Your cousin Marge doesn't care about that stuff, but it is the right answer. Raboso is a tannic monster with deeply-colored skins which helps to explain why it is so violently pink. It also explains why this wine has some serious grip to it, for all its foofy fizziness. The NV Incanto Frizzante Rose is one of those wines that you have to have a lot of wine confidence to drink in front of other people. It's hot pink color, aromas of cherry, and tiny bubbles will be enough to make friends think you've lost your mind. But trust me, you haven't--especially if you are drinking a well-chilled bottle while eating a spicy pepperoni pizza on the deck on a warm, early summer Friday evening. It has all the tannins of a dry red, the refreshing quality of a sparkler, and the crispness that you want on a warm day. There is a dry aftertaste, which just confirms this is no candy wine. But the combination of dryness, bubbles, and tannins makes it the ideal partner for pizza with spicy toppings, appetizer plates loaded with salumi, olives, and cheese, or just plain sipping on a warm afternoon. You can get this unusual wine at Trader Joe's for around $5.99. At that price this is very good QPR, and it will set you back far less than the pizza or the gas required to pick the pizza up. These days, who can ask for anything more? I spend lots of time in libraries and archives. 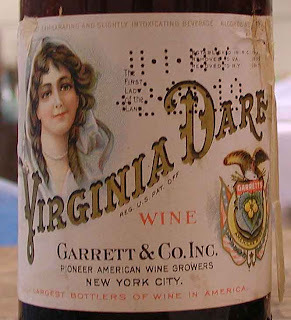 I thought it might be fun to share some of the information I pick up about wine history along the way. While walking along, readers of this blog would be scanning the stores for wine. Where could you have purchased it in 1906? One option would have been the Crescent Wine Company, established in 1890 and still serving up wine and spirits, as well as olive oil and bottled water, to Los Angeles residents after the turn of the century. 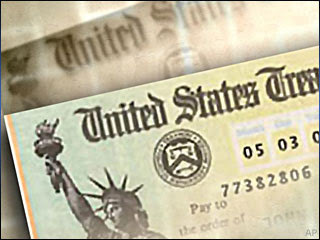 Located downtown on West Seventh Street, the company's motto was "Quality like Truth commends itself." Their 1906 price list proudly stated: “We do not keep nor offer for sale any imitation goods, or goods bearing counterfeit labels, and every article in this list is of irreproachable quality and even the cheapest goods quoted are choice.” Truth in advertising--and labeling--was an issue back then, just as it is now. What the Crescent Wine Company meant by that statement, however, would not pass muster today. They sold California wines in bulk under the categories of Claret (both "Table" Claret and "Old" Claret) and Zinfandel, but also advertised California Burgundy, California Hock, California Riesling, and California Sauternes. The price? Well that ranged from 50 cents to $1.50--a gallon. You could get your Claret in a quart bottle for an extra 10 cents, and when you brought the bottles back for a refill you got a 3 cent credit. Recycling, 1906 style. Those of you who know about the 19th and early 20th century may also know that medicinal "tonics" (most of which were laced with opium, cocaine, and other potent substances) were hugely popular. Crescent Wine Company sold its own medicinal tonic, called "Tone-up Port." They described it as a "perfect, all the year around tonic and nutritive for restoring debilitated conditions. A perfect food and tonic combined. As an appetizer it has no equal; invigorates and tones up the whole system; makes rich, red blood, and is especially recommended for building up “run-down” constitutions." What was in the bottle was a carefully-guarded secret, but they offered free local shipping on 6 large bottles (which cost you $4). "Use large bar glass; 1 tablespoon sugar, juice of 1 orange, ½ glass of ice; fill up with Rhine wine. Stir well, add slice or orange with straws, and serve." "A large bar glass half full of ice; ½ tablespoonful of sugar, juice of 1 orange, 1 wine glass California wine. Stir well, fill up with ice, dash with claret, dress with fruit, serve with a straw." There was something strangely familiar about this price list, and it reminded me of surfing the web and browsing wine selections at local stores like domaine547 and Wally's, reading their advice about how to serve wine, and dreaming of making a big purchase. Despite the ways in which the experience was quite different from today, what I was most struck by were the ways in which buying wine from Crescent Wine Company seemed strangely modern with its recycled containers and free shipping offers. It made me think that someone from 1906 would be at home in our world of e-commerce and be delighted to shop for wine from the comfort of their own living room in 2008. It's fun to be able to imagine what it would have been like to buy wine in Los Angeles more than a century ago--although I'm not sure the Sparkling Sauternes would have made it into my cart. It's time again for Wine Blogging Wednesday, the online tasting event started by Lenn Thompson of Lenndevours. 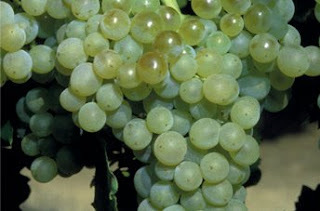 This month, Wine Blogging Wednesday is hosted by Tim Elliott of Winecast, and his theme is Old World Riesling. Rieslings are great summer wines, with their fresh flavors and typically low alcohol levels, so I have been looking forward to this month's theme for a while now. The wine that I picked--the 2006 Max Ferd. Richter "Zeppelin"Riesling--certainly qualifies as an "Old World" Riesling. This label has loads of fascinating history behind it. First, Weingut Max Ferd. Richter has been operated by the family for the past three centuries. 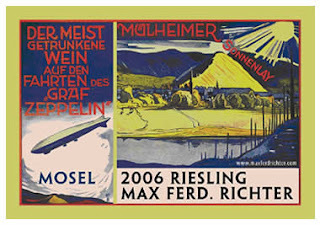 Second (I love this part), Rieslings from the Mülheimer Sonnenlay vineyard where the grapes for this wine were grown was the wine most often poured on Zeppelin flights during the 1920s and 1930s. That's why even now the bottle has a glorious Art Deco image of a Zeppelin on it. I don't think you can get much more "Old World" than that! The 2006 Weingut Max Ferd. Richter "Zeppelin" Riesling was one of the better lower-price German Rieslings I had lately. ($14.99, domaine547; it looks like they've got the 2007 in stock now) This Riesling was one giant lime fest. There were aromas of apple, honey and lime zest, which were as enticing as the bright golden color. Flavors of fresh squeezed lime juice and lime zest kept it tangy and lively in your mouth. A tiny bit of stoniness in the back of your throat during the finish kept the wine interesting down to the very last drop. Very good QPR. Like most Rieslings, this was a very drinkable and food-friendly wine that would be best with spicy food or grilled sausages--something with lots of flavor. We had it with an amazing chicken salad that combined honey-mustard dressing with mangoes, cucumbers, red pepper, and greens. The salad had great synergy with the wine. The dressing was made with lime juice and honey mustard which brought out all the lime flavors and aromas. And the honeyed aromas in the wine turned into mango-like flavors you sipped it after a bite of salad. This was a terrific pairing, and really showed you the power of the perfect wine and food pairing. Thanks to founder Lenn, our host Tim, and to all of the participants who make this a great event every month. See you back here in June when I'll be your host. Stay tuned for an announcement of the theme following Tim's roundup. There are two Montepulcianos in Italy: one is an appellation, the other is a grape. 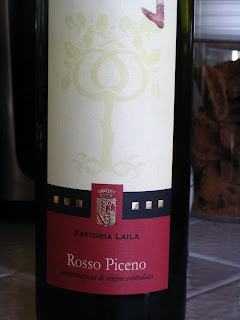 Today, I'm reviewing a wine from Le Marche that's made with that other, grapey Montepulciano. It is a delicious and affordable wine that would be perfect with any traditional Italian trattoria fare from grilled meats to pizza and pasta. The 2005 Fattoria Laila Rosso was a very good QPR blend of Montepulciano (80%) and a bit of Sangiovese ($12.95, Chronicle Wine Cellar; find it online for between $13 and $17) Montepulciano grapes carry a lot of pigment in their skin and that gives the wine a dark, blackish-purple color that is rich and cooling. Blackberry and black cherry fruit aromas are clearly present when you uncork this wine and give it a sniff. There's more dark berry and cherry in the flavors, too, along with a bit of roasted coffee bean. The overall impression is not of enormous fruitiness, but fruit kept in check with bitter notes and acidity and a bit of spiciness in the aftertaste. It was a food-friendly wine, and we had it with some spicy chicken in red sauce with penne. Bits of chicken breast are tossed with ground fennel, pepper, and coriander and then sauteed in a pan until golden. After a quick deglaze with some leftover white wine, you simmer lots of garlic and tomatoes until the pasta is cooked, and finish it off with some basil. The wine stood up nicely to the sweet acidity of the tomatoes, and the spicy chicken picked up the nice spicy notes in the wine, as well. 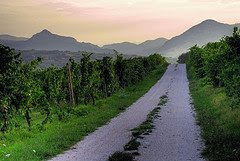 Fattoria Laila is located in the hills of Ancona above the Adriatic Sea. 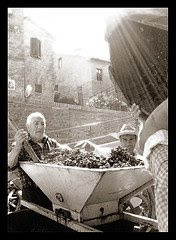 The area's chalky soils are great for Montepulciano. The Rosso Piceno DOC covers an ancient viticultural region. Ancient writers tell us that Hannibal, at a pit-stop along the way to Rome, had his horses rubbed down with red wine from Piceno to give them more energy and strength for the last part of the journey. You can find out more about Rosso Piceno, and an earlier vintage of this wine, at The Wine Lover's Page 30-second Wine Advisor. As with most of the Italian wines I've had so far, these little known regions and lesser known grapes are capable of combining great quality and traditional Italian flavors with a very attractive price. If you like Chianti or Nero d'Avola, give reds from Rosso Piceno a try. They may become your preferred Friday night pizza and pasta wine. So if you're a wine lover, what should you do? If you are looking to help out the economy by spending your check in the wonderful world of retail, here are some ways to do so while feeding your wine habit, too. If your rebate is $600, then why not buy yourself a 30-50 bottle wine fridge? These are great for kitchens, small apartments, and small wine collections. Yes, you will fill it all too soon, but with warm weather on the way this would be a nice little treat for you and your wine. Drinking cellar temperature reds in summer is one of life's great pleasures, since the wines warm up slowly in the heat. If your rebate is $500, then why not invest in some 2005 Bordeaux including some Sauternes, and plan to open them in the next 5-10 years? I'd look for bottles that cost between $25 and $50 and buy 6 bottles of red and 6 bottles of Sauternes. These are likely to increase in value (although, like any investment there's no guarantees), so take care of them and store them carefully. If your rebate is $400, consider joining a wine club and pay in advance for the whole year. If you love Pinot Noir, Pinotage, and Chardonnay, take a look at the Fort Ross Vineyard Collector Club which sends you 3 bottles 4 times a year, with shipments varying from $80-$110 plus shipping and taxes. If you love Rhone varieties, then maybe the Tablas Creek Vinsiders is for you, with 2 shipments of 6 bottles a year, for $150-$190 per shipment plus shipping and taxes. If you like wines with a sense of adventure, join the Twisted Few, Twisted Oak's wine club. They send you 2 bottles every other month, and mix them up with whites and reds and whatever else the gang feels like putting in there. All of these club memberships come with discounts on wine and shipping throughout the year, so you will not only get a great selection of wine over the year, you'll have a chance to rebuy at a lower price when you discover a new favorite. If your rebate is $300, why not buy a small thermo-electric counter-top wine fridge and a few bottles of white and red to put into it? You can find these little units on sale for under $150, which leaves you with another $150 to buy some reds or whites to put into it. One blogger, Monkuwino of One Wine Per Week, scored an Emerson unit that holds 8 bottles last year for $59. Looking for tips on which wines to cellar? Food and Wine Magazine had a great list of suggested wines in January, including 2004 Ribero del Duero wines (cellar 3-10 years), 2005 Grand Cru Chablis (cellar 7-10 years), and 2004 Barolo (cellar for 15 years and more). When you get a windfall, it's nice to get something that you'll not only enjoy now, but enjoy throughout the next 12 months. If you pick one of these options, you will be investing in your wine enjoyment in the short and long term, and giving a little boost to the economy as well. Or you can do the really prudent thing: pay off your wine bills from last month that are still sitting on your credit card! This month I'll be focusing on wines from Le Marche as part of my ongoing efforts to get to know the wines of Italy. The region is best known outside Italy for its white wines (most notably Verdicchio dei Castelli di Jesi), but its reds are made from Sangiovese, Pinot Noir and Montepulciano d'Abruzzo so they are well worth seeking out as well if you like soft, food-friendly reds. Stay tuned for reviews of several wines from the region over the next few weeks. They will all be perfect for summertime sipping whether they're refreshing whites or grill-friendly reds. If you have any recommendations for wines from Le Marche that you have enjoyed in the past, please let me know. Last month I received some great suggestions on what to drink from Molise. Keep those tips coming!